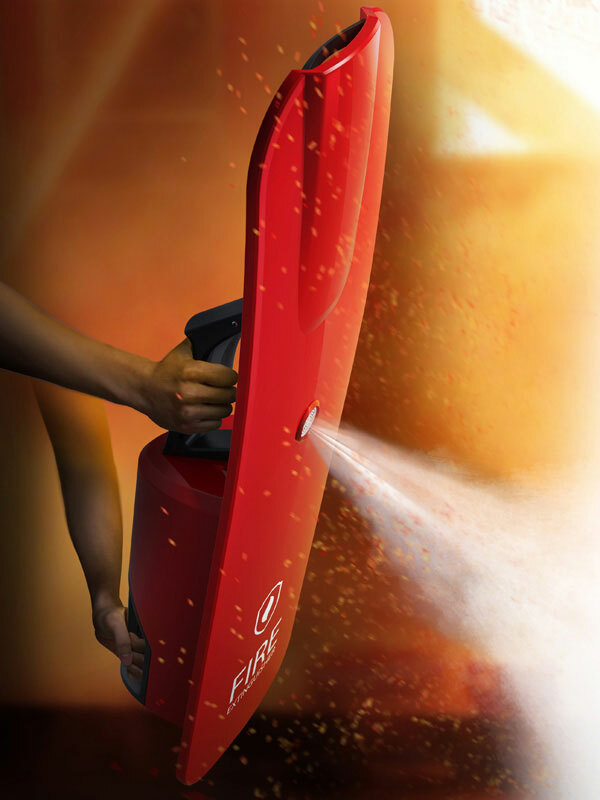 Shield Extinguisher is a combination of fire extinguisher and a shield protection to provide fire fighters with better protection in the event of fire. 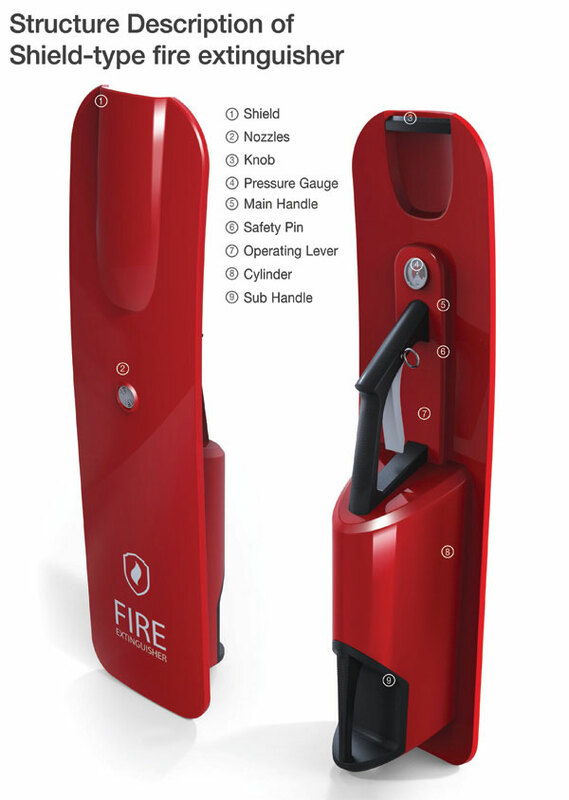 Our conventional fire extinguishers have many design problems where they can also expose user to the fire itself. 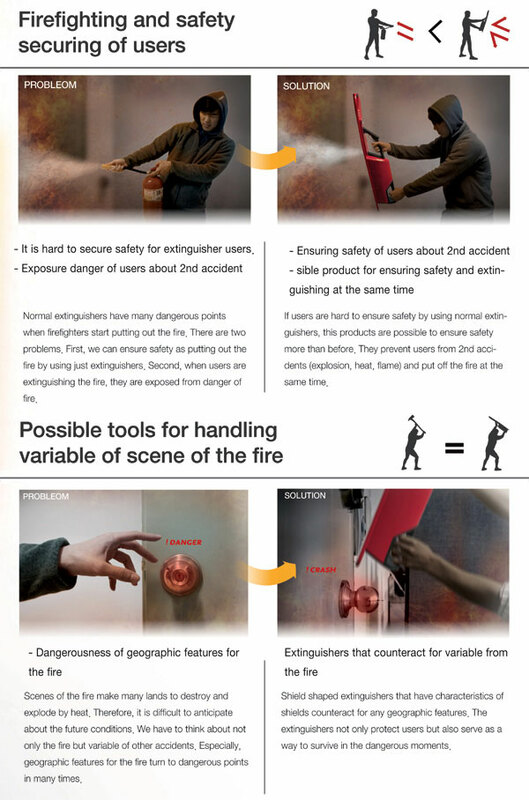 This additional shield in the design would protect user from the danger of explosion, heat, or flame.